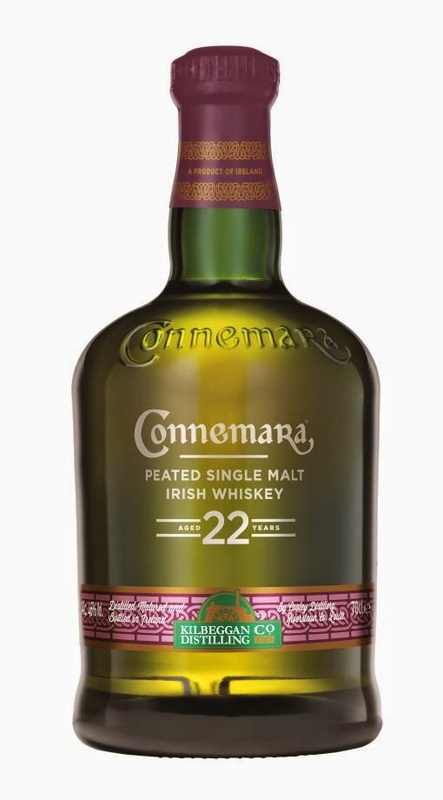 The Kilbeggan Distilling Company (formerly Cooley) has released a 22-year old Connemara, the oldest to date. The age would suggest it was distilled in 1992 so it's about as old as a Connemara could be (according to my notes, Cooley first distilled peated malt in 1991). It's bottled at 46% and limited to 333 9-litre cases (something a little over 4,000 bottles, then). Most of these will go to Ireland, the UK, Germany and France. In Ireland it retails for about €170. Some gentle smoke, then tropical fruit, baked apples, oak, sweet lemons and sack cloth. Quite powerful. Powerful with nice smokiness at full strength. Bittersweet fruit flavours, sappy oak with some vanilla, toast, cooked apples and spice. Some nicely sooty/dry smoke, pencil shavings and oak.